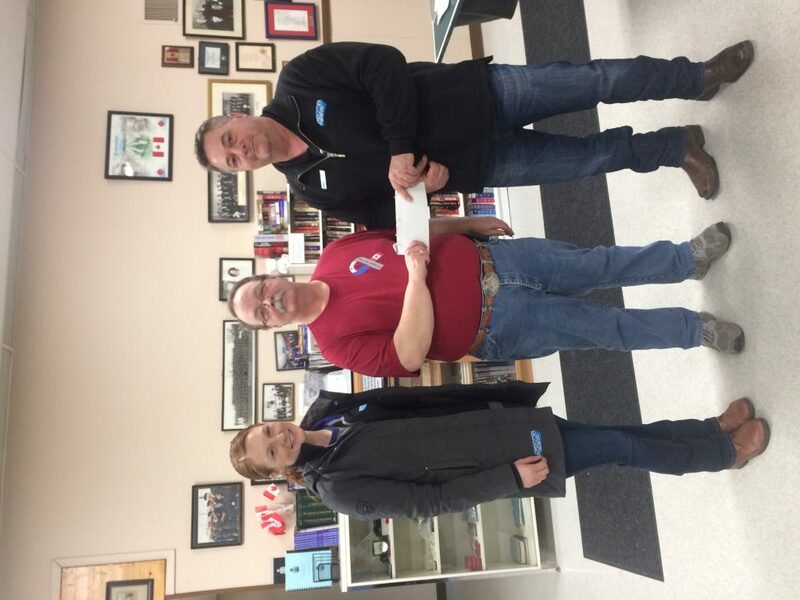 President Neil Gorman (centre) of Onoway, Alta., Branch receives $1,000 from Ste. Anne Natural Gas Co-op executive director Valere Liefso (left) and chief executive officer Kevin Ouderkirk. The Co-op has pledged to sponsor the branch’s annual Easter dinner.